Camp Erin® Lincoln is a free, three-day, overnight bereavement camp for youth who are grieving the death of a significant person in their lives. Children and teens ages 6 to 17 attend a weekend camp experience that combines grief education and emotional support with fun, traditional camp activities. 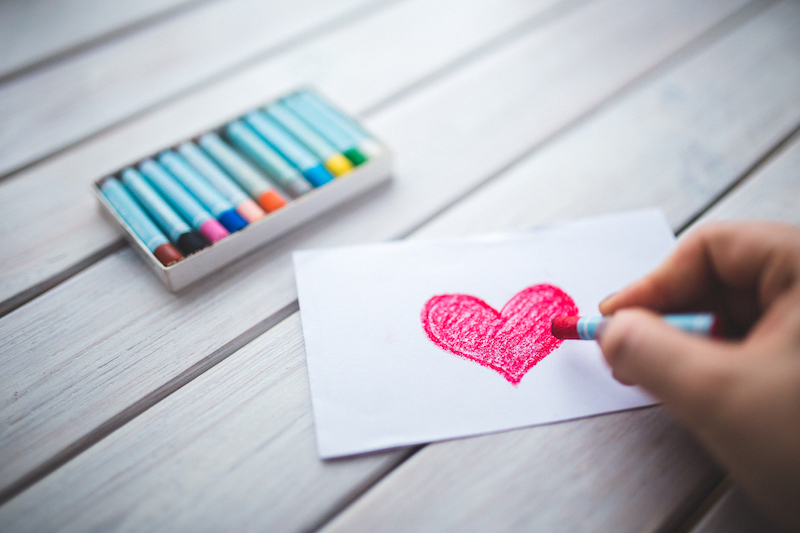 Led by bereavement professionals and trained, caring volunteers, campers are provided a safe environment to explore their grief, learn essential coping skills, and make friends with peers who are also grieving. The 2019 Camp Erin Lincoln will be held Friday, September 20 to Sunday, September 22 at Carol Joy Holling Camp in Ashland, Nebraska. Registration for the 2019 Camp Erin Lincoln will open in February 2019. Camp Erin Lincoln is made possible through the support of more than 50 dedicated volunteers. Volunteers are needed to serve as camp counselors and as support staff to assist with the diverse camp activities. Volunteers must be 18 years of age or older, and need to pass a criminal background check. Volunteers are required to attend a volunteer training session, the Save Your Spot event, and may be asked to participate in an orientation interview. To provide consistent support for campers, volunteers must commit to attend the entire Camp Erin weekend. To be part of this incredible experience, please complete the Camp Erin Volunteer Application. Campers, caregivers and volunteers are invited to attend the Save Your Spot event for the 2019 Camp Erin Lincoln. Campers will have a chance to connect with other campers and Cabin Buddies, and participate in fun camp-like activities. Caregivers will learn what to expect from camp, how to prepare campers for their adventure, and meet camp staff and volunteers. Volunteers will get to know other volunteers, as well as the campers and their caregivers, and will work with campers on a few pre-camp activities. A: Through an annual grant from Eluna and through the generous support of local corporations, foundations, individuals and other area organizations as well as community volunteers, Camp Erin Lincoln is free to all campers. Q: Who can attend Camp Erin Lincoln? A: Any child between the ages of 6 to 17 who has experienced the death of someone significant to them may attend Camp Erin Lincoln. Potential campers will be required to fill out an application form containing personal, bereavement and medical information. Because we want to ensure the best possible experience for every Camp Erin participant, each application will be reviewed in detail and may include an interview before the application process is complete. Due to the large number of applicants expected, campers will be selected on a first come, first serve basis. Campers who have not attended in the past will be considered before returning campers are accepted. Q: What activities do campers participate in throughout the weekend? A: Children grieve in many ways. They require physical activity as well as emotional outlets, coping skills and community-building to cope with loss. 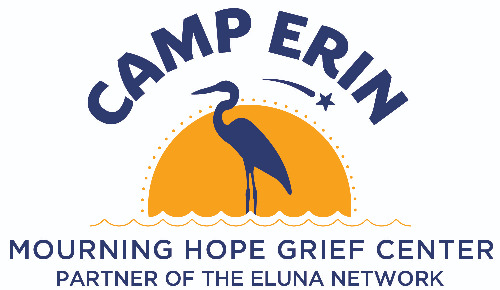 The goal of Camp Erin is to help normalize the grief process for all campers. It will provide a safe method and place where children can grieve with other children who have experienced a death loss. There will be ample activities for children of all ages and abilities. Camp activities may include sharing, music, arts & crafts, ropes course, luminaries, nature walks, storytelling. Q: What is the camp location and dates for this year? A: Carol Joy Holling Camp in Ashland, Nebraska. Friday, September 20 through Sunday, September 22, 2019. Q: Who is the Camp Erin Lincoln contact? A: The camp is staffed by bereavement coordinators from the Mourning Hope Grief Center and community volunteers who are professionally trained by Mourning Hope staff. If you have any questions about Camp Erin, you may contact Pam Dinneen at pdinneen@mourninghope.org or 402-488-8989. Questions regarding applying can be directed to Alyssa Christensen at achristensen@mourninghope.org. Eluna is a public, 501(c)(3) nonprofit with a mission to support children and families impacted by grief or addiction. Founded in 2000 in Seattle by former MLB pitcher Jamie Moyer and child advocate Karen Phelps Moyer, Eluna was originally called The Moyer Foundation and launched a series of programs supporting thousands of children and families annually at no cost to them. Camp Erin® is the largest national network of grief programs for bereaved children and teens, Camp Mariposa® is a national addiction prevention and mentoring program for youth impacted by a family member's substance use disorder, and the Eluna Resource Center offers online tools, local referrals and personalized phone and email support for families experiencing grief, addiction and other related issues. For more information, please visit elunanetwork.org.